You know what’s actually pretty frickin’ awesome? Cauliflower. It can take on so many flavours, and goes especially great with bright, vibrant ingredients like lemon and capers. 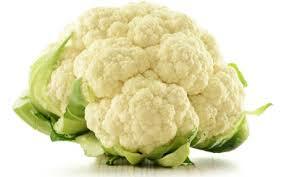 Cauliflower is one of several vegetables in the species Brassica oleracea, in the family Brassicaceae. It is an annual plant that reproduces by seed. Typically, only the head is eaten. Packed with nutrition, whats not to love.